Teesta Setelvad is the Editor of Communalism Combat magazine and author of Foot Soldier of the Constitution: A Memoir (2017). 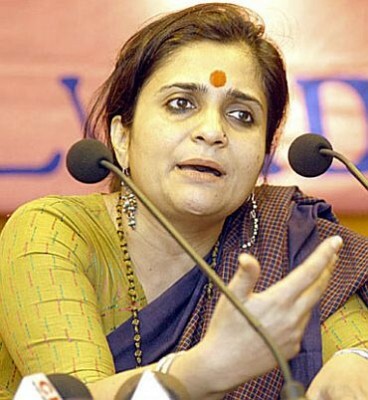 She is a dedicated social justice activist who has been spearheading the campaign for justice for the victims of the 2002 Gujarat Muslim massacre. As a secularist, she has worked to expose majoritarianism and religious fanaticism in other parts of the world and has always been vocal on issues related to women, Dalits, adivasis (indigenous persons), and the LGBTQ. A Punjabi translation of F oot Soldier of the Constitution has recently been completed by Buta Singh, Editor of Lok Kafila , a Punjabi monthly that covers alternative politics; it is being launched on Friday, April 13. in Rm 120, Surrey Central Library at 4:30 pm.